'Simply, utterly brilliant. Bursting with humility and humanity' THE SECRET BARRISTER 'A survival guide for the Trump era' GUARDIAN Banned by Putin, fired by Trump. And now he's free to talk. Multi-million-dollar fraud. Terrorism. Mafia criminality. Russian espionage. For eight years Preet Bharara, United States Attorney for the Southern District of New York, successfully prosecuted some of the most high-profile crimes in America. Along the way he gained notoriety as the `Sheriff of Wall Street', was banned from Russia by Vladimir Putin and earned the distinction of being one of the first federal employees fired by Trump. 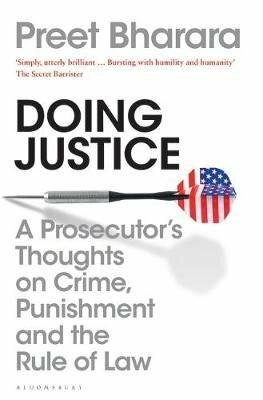 In Doing Justice Bharara takes us into the gritty, tactically complex, often sensational world of America's criminal justice system. We meet the wrongly accused and those who have escaped scrutiny for too long, the fraudsters and mobsters, investigators and interrogators, snitches and witnesses. We learn what justice is and the basics of building a case, and how judgement must be delivered not only with toughness, but with calmness, care and compassion. This is not just a book about the law. This is a book about integrity, leadership, decision-making and moral reasoning - and one that teaches us how to think and act justly in our own lives.